The good news is that you can prevent joint diseases and injury to a significant extent through proper nutrition and sensible exercises. The most important requirement for ensuring long-term joint health in horses is balanced nutrition. It’s crucial that you start prioritizing nutrition right from conception, ensuring that the broodmare gets sufficient nutrients that will boost the fetus’ joint health. You’ll need to carefully monitor the feed intake of the mare, along with the mineral ratios to ensure that the fetus’ cartilage matures properly. You should also avoid excessive feeding of a lactating mare because her diet has an impact on the caloric intake of her foal. 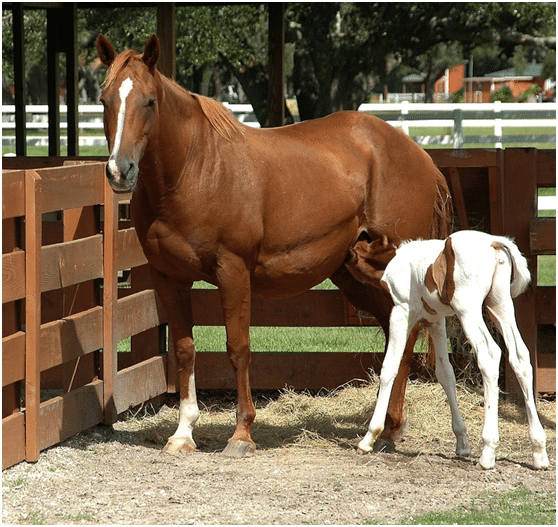 Excessive feeding, therefore, tends to promote growth spurts in foals. And a growth spurt could have a long-term negative impact on the foal’s musculoskeletal health. In fact, excessive feeding could even be more harmful that inadequate feeding. It’s important to ensure that a foal gets a sufficient supply of protein in its diet (around 14-16%) to ensure that its bones develop properly. If a foal’s diet doesn’t contain adequate protein, it may be unable to grow properly and its cartilage may be unable to mineralize properly. In short, ensuring balanced nutrition right from the start can ensure long-term equine joint health. Oral joint supplements can also be a great way to improve and maintain horse joint health. These supplements can reduce inflammation in the cases of injured and inflamed joints. They can also protect the cartilage against degradation. For normal joints, joint supplements can provide protection against athletic stress. They can also reduce the severity of injuries when they do occur. But it’s important to carefully look through joint supplement ingredients to ensure that your horse gets the right kind of substances. Glucosamine and chondroitin are two crucial ingredients you should look for before buying a joint supplement for your horse. These ingredients support healthy joints, ligaments, tendons, and cartilage in horses. Glucosamine has been thoroughly studied in regards to its impact on horse joint health. It is the building block of every connective tissue found in different forms of life. It has been proven to be effective for pain relief. It may even relieve pain from injury within just 10 to 14 days and can encourage healing and slow down the breakdown process of the cartilage. Chondroitin sulfate has been known to prevent cartilage from breaking down further in the cases of injured or diseased joints. You should opt for a joint supplement that contains a combination of these two ingredients, which are the cornerstones of joint supplement programs. Some additional ingredients you could look for are hydrolyzed collagen, green lipped mussel, methylsulfonylmethane (MSM), bromelian, porcine, copper, cetylated fatty acids, manganese, zinc, and vitamin C.
Exercise may be vital for healthy joints in horses. However, it’s crucial to understand exercise management to avoid excessive exercise strain. This strain, if it’s not avoided, could result in the formation of bone cysts within the joints or trauma to the growth plate. When you’re starting to get your horse acquainted with exercising, it’s best to start with moderate intensity exercises and then gradually increase the intensity and duration over time. This will reduce the number of exercise-induced injuries while improving cartilage health. For foals, however, it’s also important that you avoid limiting their exercise too much. That’s because they require strain-force application so that there is proper development of bone and soft tissue. Some horse owners may only start exercising or working their horses after they turn two. These horses are more prone to joint injuries compared to foals that received controlled exercise at an early age. To ensure proper cartilage development, you could start out with controlled voluntary exercises like a light roundpen exercise or lunging. While your main goals may be to prevent joint disease and injury, there may be times when those issues are unavoidable. You can tried everything in your power, but some situations are out of your control. When a disease or an injury does occur, horse owners have the responsibility to quickly detect it and ensure proper diagnosis. As soon as you notice abnormal signs such as heat, swelling, limping, and/or lameness, you must get help from a licensed veterinarian. After a joint injury, the first abnormal sign you may notice is swelling from joint effusion or joint fluid, which is a sign of excess fluid in the joint space. If you fail to address this problem quickly, your horse will experience a steady decline in their performance as the days pass. Their gait may change, and they may even be reluctant to perform. And if you continue working or exercising your horse when they’re experiencing joint injury their condition could worsen rapidly. This is true even in case of a mildly injured tissue. Delayed treatment could result in a long and grueling healing process. These four crucial points can help you understand horse joint health better. Good practices now can not only prevent joint injuries but also ensure the long-term health of your horse’s joints. 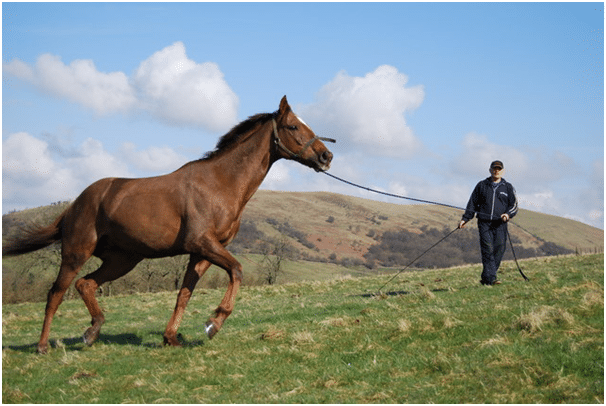 And if you have any questions about some of the points mentioned, or if you wish to learn more about keeping your horse’s joints healthy, feel free to get in touch with us.